Gite in adjoining house of caractere in the village and facing mountains. Separate entrance. Ground floor Boxroom (washing machine, clothes dryer). first level integrated kitchen (dishwasher, microwave). living room. Lounge area electric heating fireplace. TV telesejour card phone. 2 bedrooms (2 beds 2 pers.). Sleeping arrangements child's sleeping area with 2 bunk beds 1 pers. bathroom WC.Electric heating extra. Covered balcony . Terrace. Garden furniture. 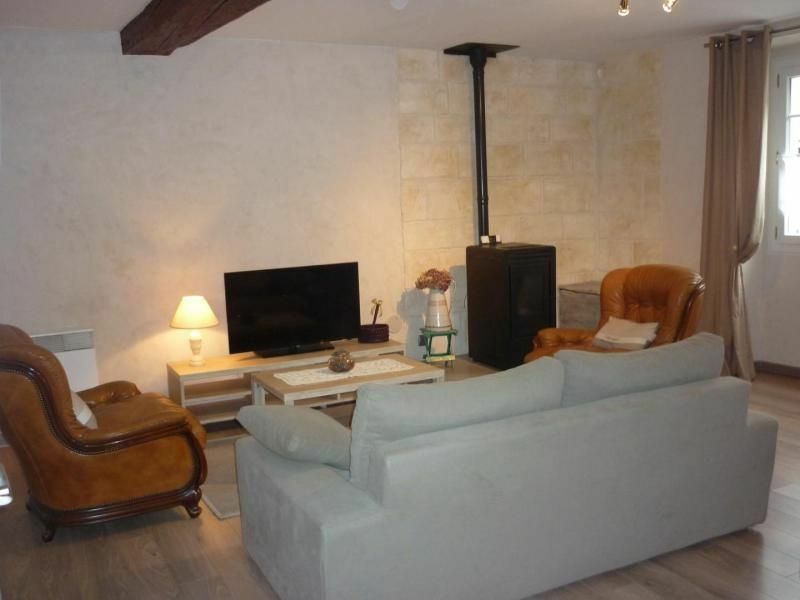 Gite 4/6 pers. Ski, rambling, 'Parc National', 'falaise aux Vautours'. BEBE A BORD TV, Washing machine, Dishwasher, Fireplace, WeekEnd, Baby equipment, Popconnect, Terrasse, Enclosed garden, Terrace, Village. Option à régler sur site : Cleaning fee : 60 €.